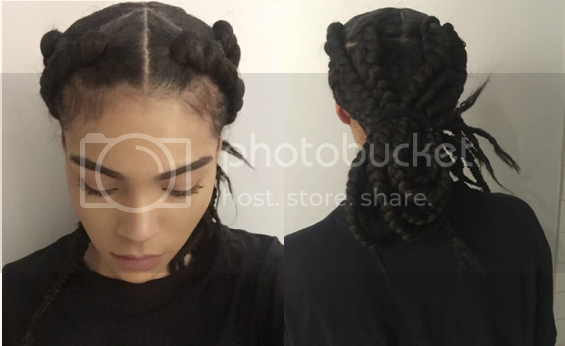 20-year-old Cree Ballah showed up for her shift at a Zara store in Toronto on March 23 with her hair pulled back in large box braids. At the store, a manager approached her to take down the ponytail. Shortly thereafter, Ballah says another manager pulled her aside and told her her hair was not appropriate for work. "They took me outside of the store and they said, 'We're not trying to offend you, but we're going for a clean professional look with Zara and the hairstyle you have now is not the look for Zara,'" Ballah told CBC News. She describes the encounter as "humiliating." "My hair type is out of my control and I try to control it to the best of my ability, which wasn't up to standard for Zara," said Cree. Ballah filed an official complaint with the company's human resources department, citing discrimination. She met privately with company officials, but was not happy with the outcome of the meeting. Zara says that they have no formal policy on employee hairstyles.